Spring in Japan is a magical and difficult time. 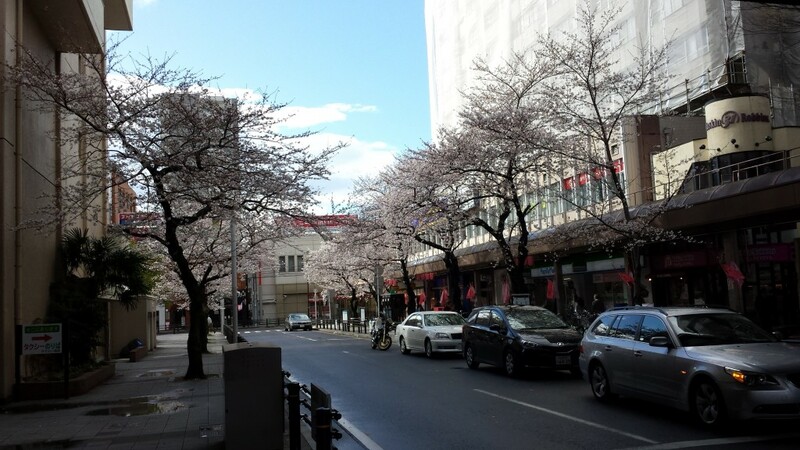 How can you resist the beauty of the Sakura trees blooming at every corner? But while the Sakura trees bloom, an equal amount of pollen from Cedar Trees is released into the air. Pretty much for the entire trip I was suffering from chronic sneezes and the occasional scratchy throat, but in my mind, it was definitely all worth it just to see the entire country covered in flower laden trees. 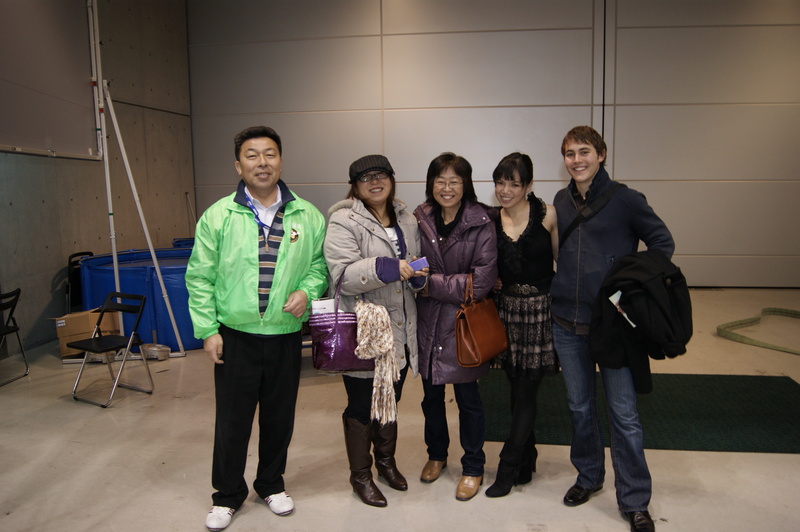 At the 2010 All-Japan Show in Niigata, Japan together with Marudo’s Family. After the Wakagoi Show, Devin and I headed up to Niigata to spend the night with Marudo. 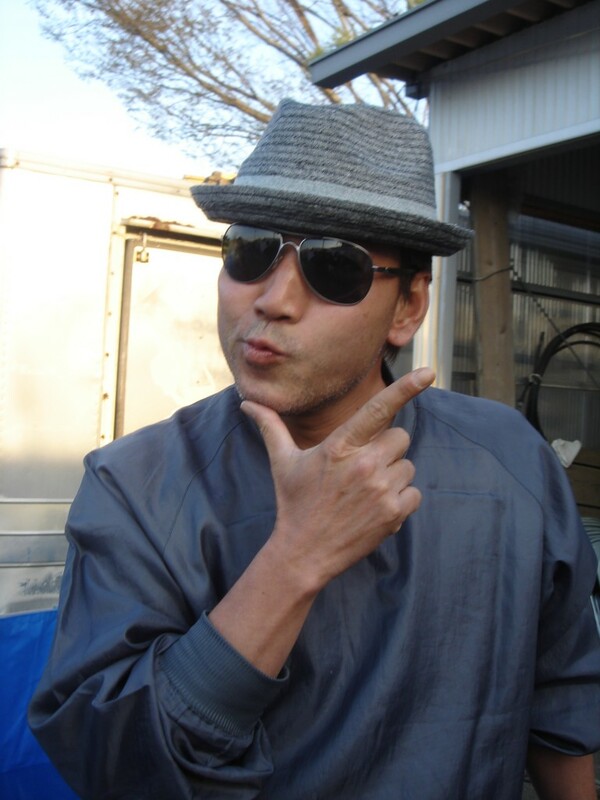 Technically, his name is Hisashi Hirasawa, yet I found that he is not only more popularly known as Marudo to the rest of the world, but even in Japan people refer to him as Marudo-san as well, even if that isn’t his real name. I suppose being the face of a great brand does that. Devin spent the better part of his formative teenage years under the care and tutelage of the Hirasawa family at Marudo Koi Farm in the mountains of Niigata, Japan. As a result, they’ve pretty much adopted him as their American son. Whenever I come to Japan to visit with them the love and affection they have to Devin is so apparent that it’s heartwarming, especially in a culture that is traditionally a lot less showy about their feelings. In fact, not only do they feed us and provide a place for us to stay, they also lend Devin their nicest car and cater to whatever it is we might need – in both a personal and business capacity. 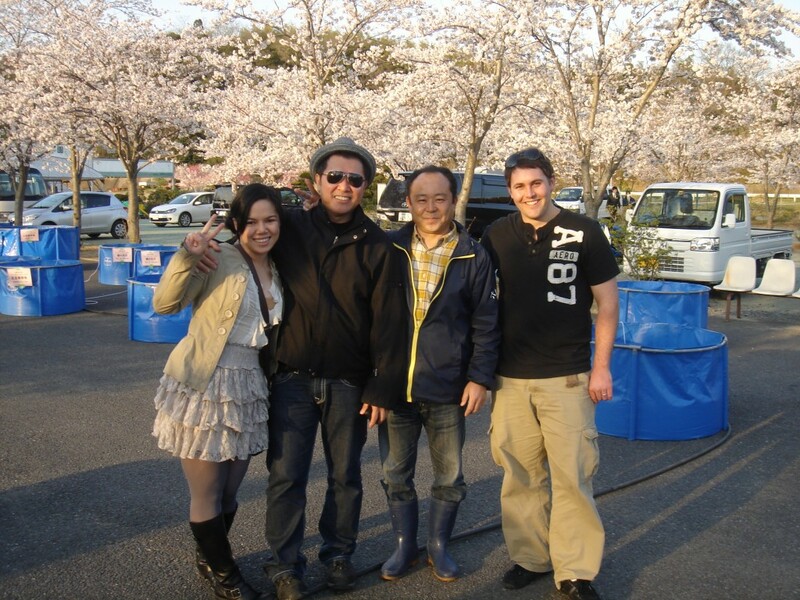 The next day we readied ourselves for our four hour car ride to Chiba to attend Tani’s Event. All the breeders in Niigata were invited to attend and bring some select Koi to sell at Tani Fish Farm, so we drove together with Marudo and Futoshi (Dainichi). Papa was already in Chiba, so I was really excited to get there and see him. Yes, I am a Daddy’s Girl. 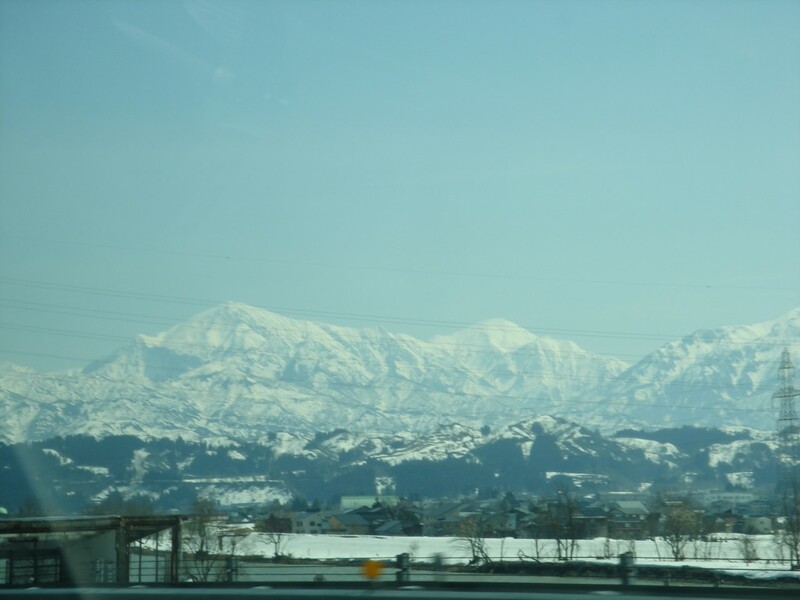 Niigata was seeing the end of winter, so the drive over was filled with views of snow-capped mountains against the dull grey skies of winter whose beauty never ceases to amaze even it’s residents. I’ve made a habit out of sleeping in cars, mostly because when Devin is behind the wheel, there is little to no chance that my motion sickness won’t kick in. That being said, on the drive down to Chiba, Devin was behind the wheel so I made sure to try stay awake as little as possible in order to arrive at Chiba with my stomach in tact. However, Sacho was eager to make sure that I didn’t miss the picturesque view so he would wake me every now and then to share with me the opportunity to see it, which I gladly took. We arrived in the late afternoon and I saw most everyone had already arrived. My first order of business? Make my way over to my dad to greet him with a big hug. He was surrounded by some of the breeders when I got there, so I had to restrain myself from running over. So as not to be rude, I made my way over combing through the many people he had been speaking with. “Doumo. Doumo. Hi. Doumo.” I said as I bowed and shook the hand of everyone on the way. Papa was filming our arrival on his iPhone, so I had to fold forward to avoid his arms and reached in to give him a hug. Both dealers and breeders alike crowded around the truck to help it get unloaded. 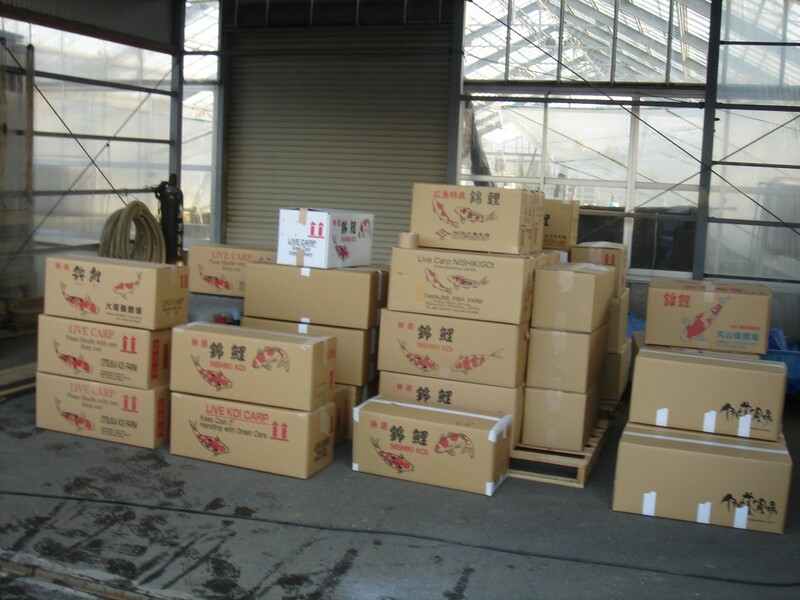 For the most part, the boxes contained auction fish that were set to one side of the area, but some boxes contained Koi that were to be sold on the spot. 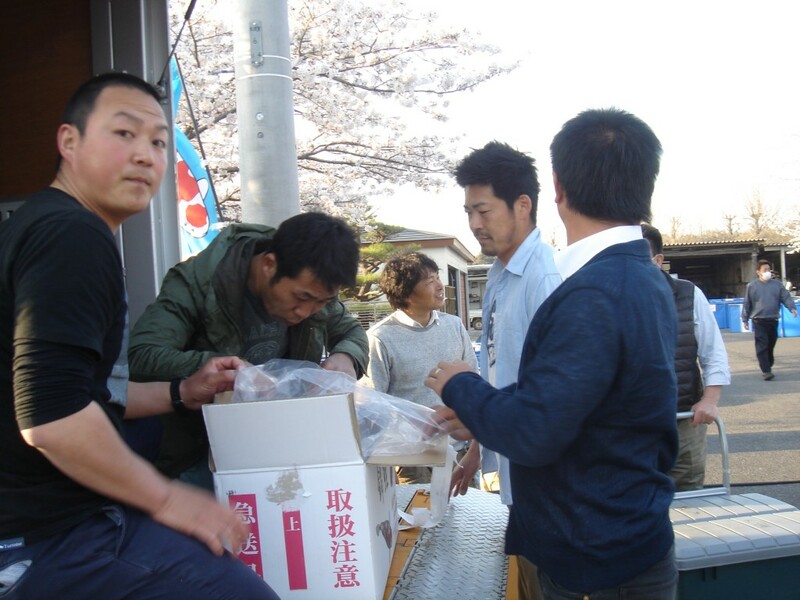 Taro Kataoka (Oya Koi Farm) was the main person checking the boxes to make sure that they were going to the right place and in a matter of 20 minutes, the entire truck had been emptied and all the boxes were put away to where they were supposed to go. The whole event was slated to start the next day, so all the boxes were kept sealed and put away to be released for viewing the following day. For now, it was time to get ready for the dinner that Tani had prepared for everyone! Of course, being Filipino, we had to take a photo before leaving the Farm. I’m really glad we did, though because it turned out so nice since the entire parking lot of Tani Fish Farm was lined with rows and rows of Sakura Trees. This photo was taken as we were on our way to search for after-dinner ramen. 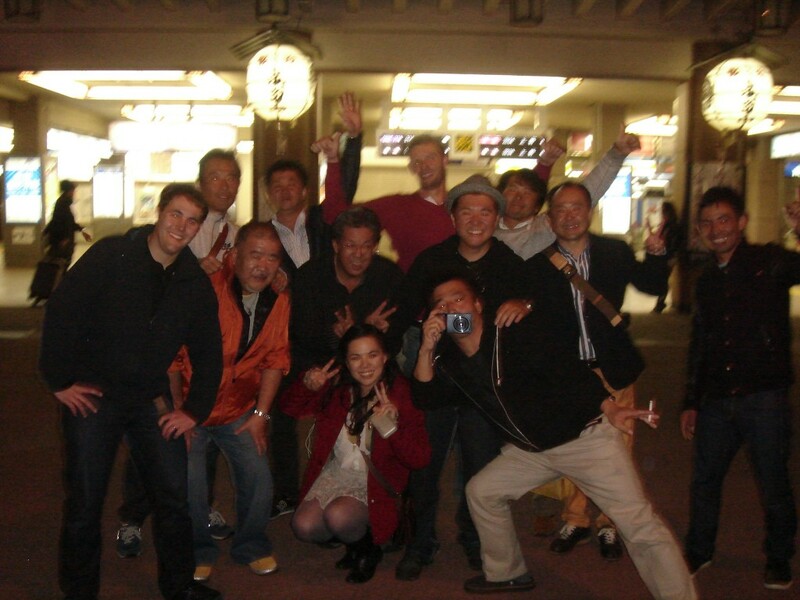 Judging from the number of red eyes in the photo, I think I need to get a new camera…. hm….